Today, of all days, I wanted to give everyone a gift of the true meaning of Thanksgiving. Those of us who are more mature in age remember what it was like to hear the story of the Pilgrims and Squanto, the Native American who helped them survive a brutal winter. He taught them how to grow maize and catch fish from the local waters. He was a vital part of Plymouth Colony's success, and the first Thanksgiving in our country was held to celebrate the bountiful harvest. Flash forward a couple of centuries plus a few decades, and what sentiments have we, as a nation, kept from that first Thanksgiving? It seems to me, we give voice to the idea of giving Thanks for our many blessings, but do we really do anything to express our gratitude? For most people, this family holiday simply centers around food. So how could I combine the ideas of Food and giving Thanks, while helping us to focus on what that really means? On Monday, a good friend sent me an email and I knew I had found my analogy. You may have seen this before, but I think we can all benefit from visiting this story. Enjoy! After flying for about an hour, an announcement was made that sack lunches were available for five dollars... It would be several hours before we reached the east, and I quickly decided a lunch would help pass the time... As I reached for my wallet, I overheard a soldier ask his buddy if he planned to buy lunch. 'No, that seems like a lot of money for just a sack lunch. Probably wouldn't be worth five bucks. I'll wait till we get to base.' His friend agreed. When we landed I gathered my belongings and started to deplane... Waiting just inside the airplane door was a man who stopped me, put something in my shirt pocket, turned, and walked away without saying a word. Another twenty-five dollars! Sack lunches may seem an insignificant way to give back our "Thanks" to those who are a huge part of our success as a nation. But once again, the simple act of offering food to another human being can feed more than their stomachs. The souls of those soldiers were fed by the generosity of one man. 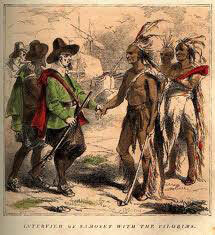 And that one gesture led to more displays of thanks from grateful countrymen. So my prayer for you today, is that you will find meaningful ways to express your "Thanksgiving"; ways to show your gratitude for all the blessings that have been bestowed upon your life. This is a beautiful holiday ..... let's celebrate its' true Spirit! Philippians 4:5-7 "Let your gentleness be evident to all. The Lord is near. Do not be anxious about anything, but in every situation, by prayer and petition, with thanksgiving, present your requests to God. And the peace of God, which transcends all understanding, will guard your hearts and your minds in Christ Jesus." I would like to send you and PLW a blessed Thanksgiving to you. Even though things are somewhat in the tank, there is still much to be so very thankful for. This post was so heart-felt, I got teary eyed reading. Several years ago, I was in line in the grocery, a woman, a couple of steps in front of me was short, she was so embarrassed, but yet I knew she needed what she had, which was nothing but staples, and needed food items, she was on food stamps, her order was $15 short, I very quietly stepped out of line, and handed her the $15,she gave me a deer in the headlight look, and I very quietly told her to take it. When we got through the line, she caught me outside and told me she would pay me back, I told her no, you pay it forward. Someone may need it later on. She was in tears and I was gentle and told her to go on. I find now, that people are harsh, and have had no introductions in the art of kindness and humility. Many blessing be upon you. THIS is who we are in America! Thank you for sharing your story with all of us and bless you for showing kindness to a stranger. Have a wonderful Thanksgiving! own armed service member to spoil. Yes! 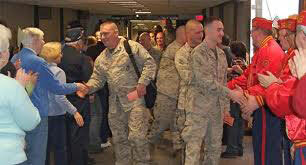 I have been involved with Soldiers Angels and "adopted" a soldier, who is now stateside and safe. Thank you, God! I would also encourage everyone to get involved. This is a great organization!